The FORTEX PCB High Speed Drilling Machine is a production quality PCB Drilling Machine of robust construction, designed and manufactured for continuous use. Order Code: HD-1418-01. 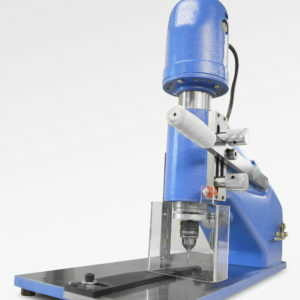 Category: PCB Drilling & Routing Machines. Tags: High Speed PCB Drill, Jewellery Drill, PCB Drilling Machine. The FORTEX FX5 High Speed PCB Drill Machine is a production quality PCB Drilling Machine of robust construction. The PCB drill machine is designed for accurate drilling of Printed Circuit Board laminates, with operator comfort a primary consideration. 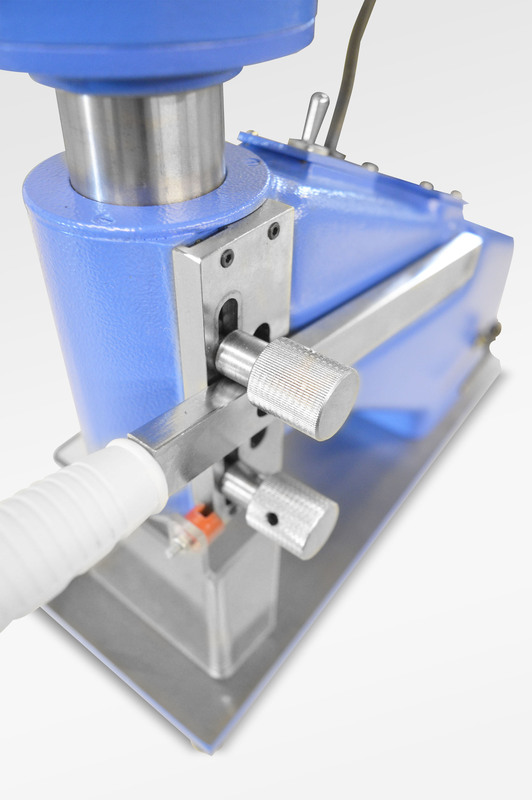 The PCB drill machine body is constructed from Epoxy powder coated Aluminium, the spindle assembly comprises of a ground steel tube with a set of long life steel roller ball bearings, and the steel ground base plate of the drill gives excellent stability during drilling operations. 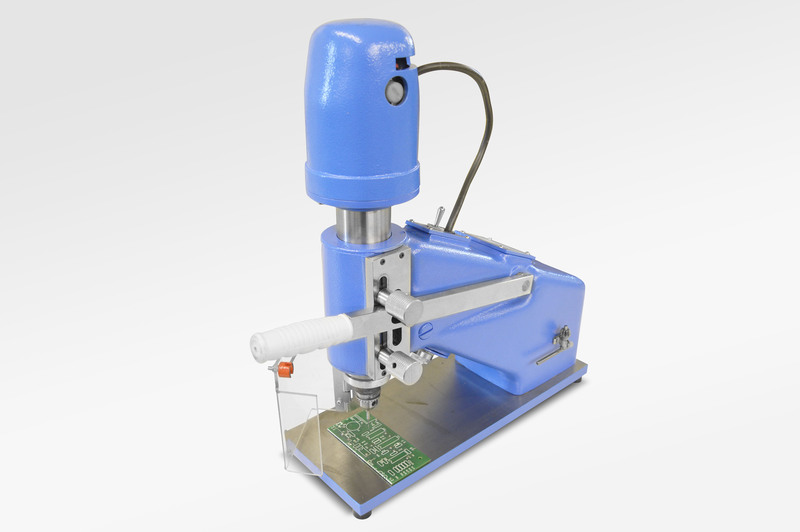 The HD141801 PCB Drill machine is designed and manufactured for continuous use. The electric AC drive motor has a continuous duty cycle rating, with steel ball bearings for long life. 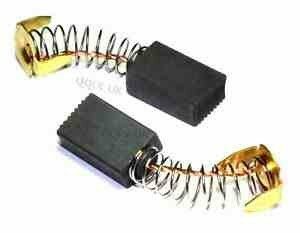 Replacement sets of carbon motor brushes are available to order separately. 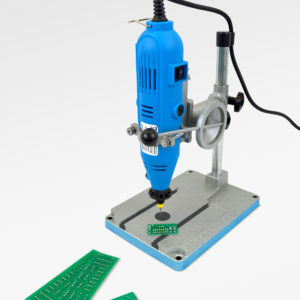 The PCB drill press has a selectable two speeds of 16,000 rpm and 22,000 rpm. The PCB drill press head is balanced on two internal springs so that very little force is needed to lower or raise the drill head. Two adjustable stops can be set to limit the drill movement, which speeds operation and greatly minimises carbide drill bit breakages. There is an integral lamp mounted under the throat casting to give good work illumination. A drill guard is fitted to protect the operator from swarf and carbide drill bit breakages. Two Drilling Speeds 16,000 r.p.m 22,000 r.p.m.